Viral and Pavi Mehta, American-Indian couple, initiated this idea at Taste of Himalayas Restaurant, Berkley , California. This Karma concept meal is served on Sunday. As their website says ‘it’s a volunteer-driven experiment in generosity’. Initiative is to spread Generosity and Togetherness among people! Sources: Karma Kitchen website, TEDx talk, youtube, Darshan America, Google search, Facebook, Twitter, and other hyperlinks mentioned in the post. Sparrows (Birds) are fast declining/vanishing from cities due to Pollution, Mobile Tower Radiations, Climate Change, Rapid Urbanization, Cutting Tree , etc., which is also a sign of ecological imbalance! Some citizens in India showed simple solution to save Sparrows (birds) by putting ‘eco-friendly nest’ at roof-tops and providing them some grains/water. To spread awareness, save birds and maintain nature’s balance; 20th March is celebrated as World sparrow day. Watch initiatives and success stories in clips below. Happiness is all about balancing satisfactions in terms of Mental, Emotional, Physical and Materialistic things! Ancient Indian scolars could figure out these four things which need attention if you wish to live a ‘Happy’ life. In today’s capitalism/ consumerism era, the general opinion among people is “Money = Happiness”, in short – we can buy ‘anything’ with Money! Well, in larger picture, money can buy some comfort and luxury; which may put a temporary smile. But, in long run, we should focus on acquiring all kinds of inner and outer satisfactions discussed below (see chart) along with solution/suggestion. Includes Mental peace, Positive thinking, Stress-free life, Mind free from anger/unnecessary worries about past and future/Jealousy/Greed/Selfishness/Rat race/Show-offs. Tips (Insights) – How to balance : Practice Yoga & Meditation, Spiritual practice, breathing exercise/Pranayam, Read good positive books. Balance your 3 Gunas (Tamas, Rajas and Satvik) properly as told in my previous post about “ingredients of success” . Here is a one different suggestion, do not get involve ‘too much’ into Gadgets or electronics – Laptops, Mobile, social networking, TV, Movies, etc. They occupy more space in your mind and you may feel tired/ dull. Give some free time to yourself daily. Put-off electronic devices for about 1-2 hrs, it will train your mind not to be dependent on machines (Think about simple life before invention of gadgets). Try to take a 20-30 min barefoot walk on grass in garden/parks, it helps. Which includes: Love, Long term relationships (Husband-wife, with kids, parents, dear ones), Sense of belongingness, Compassion, Good family bonding, Long term friendship/social networks, Trust , Togetherness, Fear-less society, Love and care towards animals/plants, Respect to others, Appreciation for your efforts, Credits for your creativity/ideas. Tips (Insights) – How to balance : Respect other’s opinion/existence; he is equally divine as you are. Follow laws of Karma. Treat others same way you want to be treated! Consists of Health related things. Body free from any disease/obesity/health issues. Keeping body fit from inside and outside. Tips (Insights) – How to balance : Practice Yoga/Gym/Jogging/Walk. Avoid junk food/alcohol/Tobacco/Fat/Cola/Excessive Sugar & Salts, etc. Eat more vegetables/fruits/herbal products. Adopt a disciplined and junk-food-free life style including habits of early sleeping (~11 PM) and early wake-up ( ~ 6-7 AM). Money-Money-Money!! (A normal printed paper which we just ‘assume’ has a certain value). Comforts/Luxury/Big house/Big Car/Gold , Silver & platinum (ultimately just metals!! )/Diamond/Travel/Party/Boozing/Fashion/Physical relation/Cosmetics/Shopping, etc. Tips (Insights) – How to balance : This shows ‘Money’ is just one of the things to be happy in life. Time won’t come back, money will…so invest your life wisely! Shop/ Borrow/ Party in your budget,avoid reckless-spending. Think smartly and keep trying to increase your revenues positively. Create more value in same efforts. Spend on those items which will give you long term satisfaction than just short term gains. If possible adopt ‘Simple living high thinking’ approach. See how we can create a society where wealth is distributed equally among all citizens. Think about a new innovative approach using both Gross National Happiness (GNH) and Gross Domestic Product (GDP) or Per-Capita Income as discussed in my previous post. See its so simple! Its all about bit change in attitude/outlook towards life with some change in lifestyle. Do not copy without written permission. You can share link from this blog. Sources: Google, and other hyper-links provided in the blog. This is an attempt to understand Ancient age social system based on Karma principle (called four Varna – Kshatriya, Vaishya, Brahmin & Shudra) in India and comparing it with today’s Profession or Career (Karma/work/action) based system in Globalization . During ancient kingdom /monarchy era, where there was high chance of misusing all social power by a single person (king/ruler). To avoid this, social scholars or Rishi (Bharadwaja , Bhrigu and others) at that time decided to build a system based on Karma (duties/action), where there won’t be more than one type of power belonging to one person. They came up with idea of 4 types of duties/categories in society: Military (Ruler/Kshatriya),Wealth (Vaishya), Knowledge (Brahmin), and Land (Shudra). Person could choose any one of these four types of social power as per wish/skills and follow his/her Karma path (also discussed here). Even ruler/king was supposed to respect and consult other groups before implementing any decision in his Kingdom. Many good rulers followed this tradition of taking advice from others. Thus encouraging decentralization of power and maintaining social balance. Post Vedic era , there were fights and invasions among different Hindu rulers. Due to this, the karma based social system was messed up. The confusion leads to caste (Jati)-based system – which is based on Birth, rather than Karma-based system- which was based on Duties/Action/Work in life. For examples, in Ancient time, King Ravana was born in Brahmin family (son of Rishi Vishrava ) but became ruler (Kshatriya) later. Similarly, Parashurama even though he was born to Brahmin family (son of Rishi Jamadagni), he turned to be a great warrior (Brahmin choose path of non-violence). Great rishi Valmiki (writer of great Hindu epic Ramayana) and Brahmarshi Vishvamitra had chosen path of being Brahmin after following Spirituality and gaining highest divine knowledge/wisdom. After industrialization and economic reforms in Globalization, there are lots of options available to each individual. Generally, now a days society is divided in three parts as per economic condition – Lower class, Middle class, and Rich class. 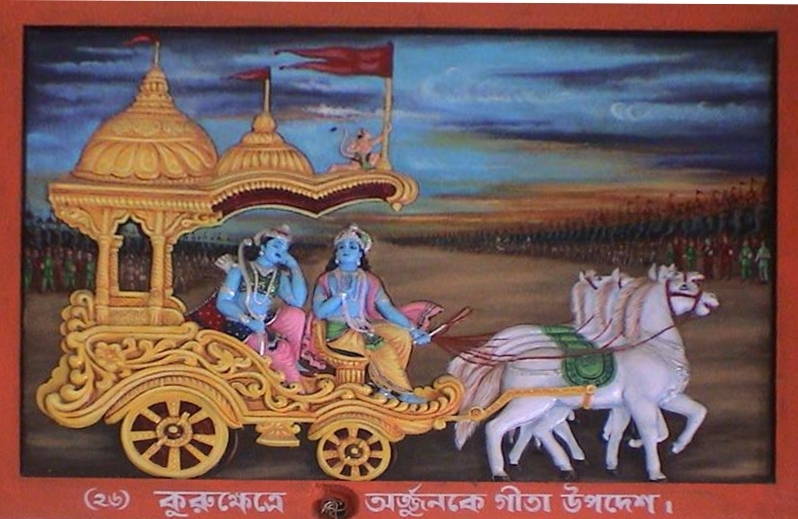 In terms of Karma (work/action), today one can choose any career path as per education, interest, skills, knowledge, etc. irrespective of parent’s profession. If we compare today’s career system with ancient system we get following interesting pattern, see chart below. As per the chart, in globalization, ancient Land lords (Shudra) and Knowledge (Brahmin) based system becomes one complete “job/service sector” (shown in orange dotted line at bottom right of the photo). But, Wealth (Vaishya) and Ruler (Kshatriya) based system is still somewhat in accord with ancient system. Well, this is just for understanding of ancient and today’s Karma (read career/job) systems. Hope this has given some insights about both Karma based systems. Note: This is as per my current knowledge and understanding of the topic. Suggestions/inputs are welcome! Visit this place in future for more updates on this topic. Copyright: It takes lots of efforts,time and literature search to post information in simplified form for readers here. 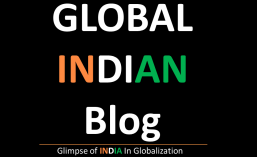 So, do not copy or use material without written permission to Globindian blog. You can share link from this blog. No need for Revenge. Just sit back & wait. Those who hurt you will eventually Screw up themselves & if you’re lucky, God will let you watch! Welcome to Karma Cafe – there are no menus here , you’ll be served what you deserved! If you loose MONEY, you loose NOTHING…If you loose HEALTH you loose SOMETHING…But, if you loose CHARACTER, you loose EVERYTHING!! Treat others same way you would like to be treated! Following articles will help to understand “Karma” in deep. Watch this space for more interesting and influential Karma quotes. Sources: Google search, Wikipedia and other links mentioned in the post.